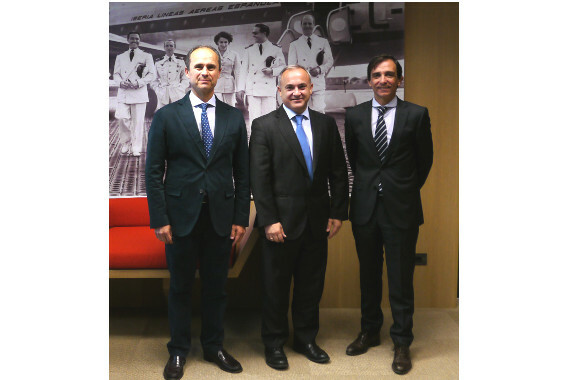 FTEJerez selected by the Spanish flag carrier as their ab initio flight training provider. MADRID, Spain, 2017-Nov-27 — /Travel PR News/ — In this new Mentored Airline Pilot Scheme, selected candidates will commence their training at FTEJerez early in 2018 joining FTE’s AFOP (Airline First Officer Programme). Following 62 weeks of training in Jerez, the graduates will transition to an Airbus type rating and first officer role with the airline on successful completion of their Airline Transport Pilot Licence (ATPL) course. Following the announcement, FTEJerez CEO, Oscar Sordo, commented as follows: “We are extremely proud of Iberia’s decision to entrust FTEJerez with the training of the airline’s next generation first officers and future captains. We also view it as fitting recognition by the Spanish flag carrier of the high quality training provided by FTEJerez. It also indicates that our track record in the industry and the milestones we have achieved over the past three decades continue to attract some of the world’s leading airlines. We look forward to build on the trust and existing good relationship between Iberia and FTEJerez in the months and years to come”. Captain Jorge Vilar, Head of Training at Iberia, stated: “One of Iberia’s most distinguishing values is that we have always taken pride in counting on the most well-prepared professionals in the industry. As we wish to continue doing so in the future, the quality of training provided by FTEJerez ensures the exacting standards that Iberia demands”. Established in 1927 and now serving over a hundred destinations across 48 countries, Iberia is Spain’s most important airline and the leading airline between Europe and Latin America. In 2016, Iberia was the most on-time airline in the world. With a capacity to train 200 pilots a year, FTEJerez is one of the main pilot training academies in Europe and enjoy worldwide industry recognition for their ab initio airline pilot programmes. This entry was posted in Airlines, Flights, Travel, Travel Education & Courses, Travel Management, Travel Services and tagged flight training provider, FTEJerez, iberia, Oscar Sordo. Bookmark the permalink.